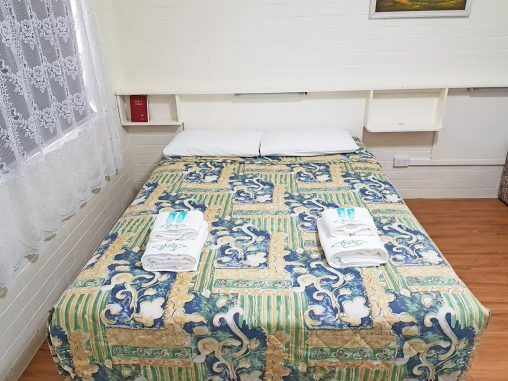 Maria Motel offers the closest accommodation in Moree to the Artesian Baths. 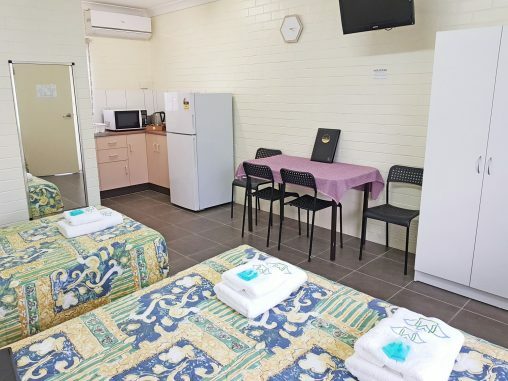 Maria Motel is located in Moree, a delightful country town in the beautiful Gwydir Valley in northwest NSW. It is a convenient 2-minute drive from Moree CBD, 2-minute walk from Moree Railway Station, within a 5-minute drive of Moree Golf Course and Moree Airport. 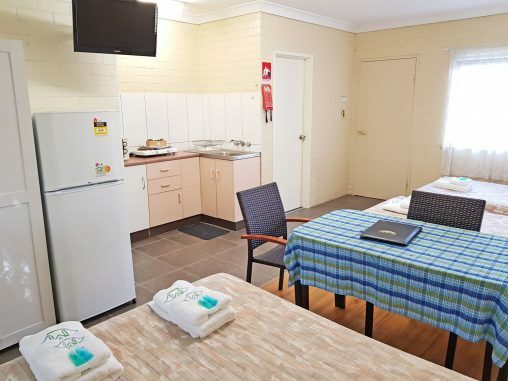 It offers the closest accommodation in Moree to the famous therapeutic Artesian Aquatic Centre (across the road), Moree’s famous natural mineral rich thermal springs suitable to all ages. Maria Motel is also very close to Moree’s local dining spots. Some restaurants nearby include Thai Cuisine, Chinese & Vietnamese Cuisine, Fish About Cafe, Anne’s Bakery, KFC, McDonalds and the popular local Victoria Pub. Whether you are travelling for leisure or for business, for short or long term visit, our accommodation is equipped with all the amenities and facilities you need to ensure your stay is comfortable and enjoyable. Our large parking lot (secured with CCTV surveillance) is convenient for vehicles with trailers, small trucks, camper vans and mini bus. Please advise us at the time of your booking if you intend to take up more than 1 standard parking lot. Our guests can relax outdoors under the cover terrace, complete with the beautiful garden area and BBQ facilities. At Maria Motel we take great pride in providing you with the highest quality services. Our comfortable guest rooms are designed to make you feel right at home with a relaxing night’s sleep. We can assure you that when arriving as a guest, you will most certainly leave as a friend! Maria Motel offers 21 self-contained lovely furnished accommodations ranging from single, double, triple to the family studio. All air-conditioned guest rooms feature a flat-screen TV, kitchen with a full-size fridge, microwave, portable cooktops, toaster, cookware, tea and coffee making facilities, basically everything to cook a meal should you wish. In addition, it offers an ensuite bathroom with complimentary shower amenities. 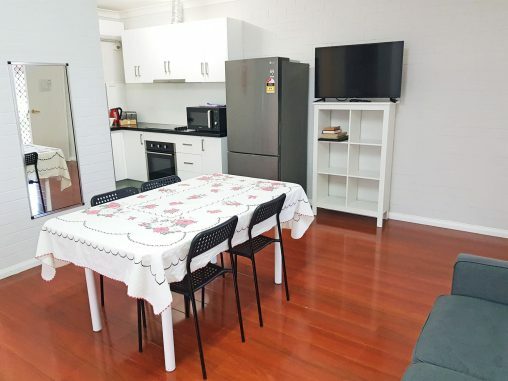 microwave, fridge, toaster and tea and coffee making facilities. All guests have access to high speed NBN wireless internet. There is always time for a BBQ! Secured off-street parking is available during your stay. Access to an additional large communal kitchen room with full amenities. All accommodations are equipped with cooling & heating system. With compliments, we can provide cots and high chairs for the little ones. Spacious and wheelchair accessible throughout the accommodation. Washing machine and dryer are available to our guest with no additional cost. Minutes to Moree’s CBD, train station, airports, and Artesian Aquatic Centre. Extra information regarding this facility to go here. Moree is a progressive and dynamic town situated at the heart of northwest NSW and is recognised nationally as Australia’s Artesian Spa Capital. With a town rich in culture, heritage, agriculture and natural assets there are many things to do and places to visit in Moree. Relax and rejuvenate in the famous natural artesian mineral waters of Moree. 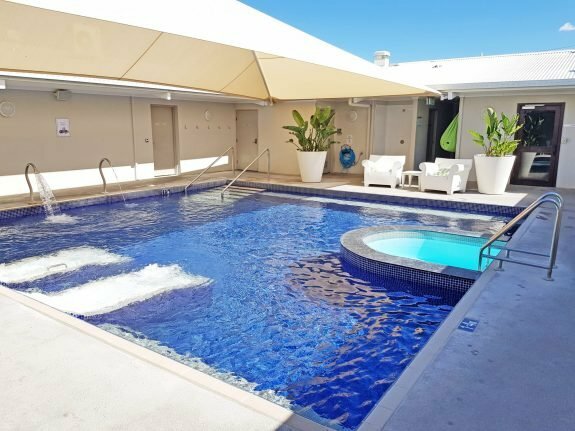 The Moree Aquatic Centre is a major attraction, drawing thousands of visitors for the restorative properties in the mineral-rich waters from deep inside the Great Artesian Basin. These soothing thermal springs are naturally heated at 41 degrees Celsius and are popular for their therapeutic qualities, perfect for a revitalising escape.